Anytime we attend a club, school, group or team we often have fond memories of our time there. We also may want to have a momento, reminder or keepsake of happy times in our lives. This is one way of achieving such goals. 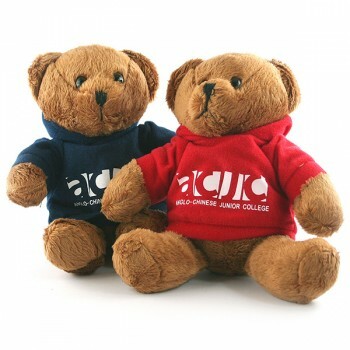 A customised plush toy or custom printed teddy bear is a lovely reminder that can be purchased as a gift, given as a branded graduation present. For this sort of item, it can also be created as a unique reminder of an event, anniversary, celebration or family day. Other items such as this that we have done include the DHL Teddy that was given as a gift of appreciation at Christmas, and also the custom made blackberry plush that was a gift with purchase for Starhub. Also popular with companies that give custom made plush toys as corporate gifts include custom are custom printed mugs, and also custom made umbrellas.